Did you bring home a whole pile of doggie toys, treats and accessories along with your new four-legged friend? My wife and I have definitely bought our fair share of doggy products over the years. In Canada, half the households have pets according to an article from The Globe and Mail news site. 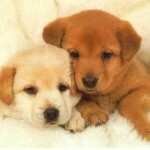 In 2012 alone Canadians spent 6.5 billion dollars on our pets. I have seen very cool products from one trade show; engraved dog bowls, pet gates, staircases for small or older dogs to get up on the bed. 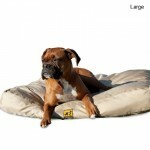 Now there are even tear proof dog beds. I have even seen doggie strollers. It seems there are more dog toys out on the market then children’s toys when I was growing up. What should you bring home as a new dog owner? The simple answer is whatever you can reasonably afford for your new friend. There is excitement and fun bringing home a new canine family member, there are some essentials that you must have and I would like to share my personal list with you. I have recommended the Hamilton Brand of adjustable harness in an earlier posting. This I strongly recommend for smaller breed dogs. 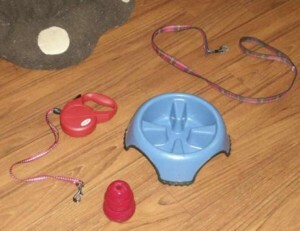 The next are doggy food and water bowls. Many people will just gab a bowl or two from their kitchen cabinet. Now this may have been fine years ago, however today there are bowls made specifically for the benefit of your pet. I recommend you invest in a bowl set that is just for your dog and keep them separate from other pets. If you have more then one dog, they should each have their own separate bowl. I will explain why I state this; it will establish boundaries for your dog and if you practice good habits and training with your dog, it will cut down on food aggression. My wife and I have chosen a slow eat food bowl for our Beagles. You may not need that type for your new dog. The very least choose a stainless metal bowl. Why? They are more durable and will not break like a porcelain cereal bowl could. Next on the must list, is a sturdy and durable leash. There are many styles; I recommend you choose a nylon fabric design. Keys to remember; they come in different lengths, and widths. Choose based on the current weight of your dog, I would recommend you always buy one that can withstand your dogs current weight plus ten pounds. Remember your little friend will grow fast, always get a new leash as your dog grows and once they are at their adult weight re-new your leash whenever it starts to show wear. Your dog’s safety and your peace of mind are worth the investment. A few tip; look for sturdy and consistent stitching in the manufacturing. Pay close attention to the clasp, is it well made? 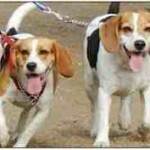 You do not want to lose your dog by skimping on a second rate leash. You may choose to pamper your new dog with an abundance of toys, and if you can afford that go right ahead. The reliable tennis ball however is all most dogs really need. That and your time, fetch is a great way to bond and play with your dog. It is also great exercise for your new friend. I would now put the Kong, on my must list. I initially passed on this, thinking it was an expensive fad item. Once my wife purchased one, I was sold. It has proven itself to be just as durable as advertised. More then just a toy, it can accommodate a wide range of food and treats in the cavity that will keep your dog busy for a little while. Our little guy Rocky is quite the pro at getting his treat out. In the next posting I will continue with the remaining must haves from our own personal experience. Please keep in mind I am a dog owner and not an expert on pet products. All the items I have mentioned, we have used for our family. I am not affiliated with any of the brands I have mentioned. You may find your own needs vary and please comment if you have found a recommendable product of your own. Halti are safer and dogs are unable to pull out. plus they have a safety strap that attaches to the dogs collar. Another plus is Halti’s are made with extra padding for the nose and they never slide up near your dogs eyes. Both are great products, I am just a safety gal and tend to go with the original and not knock offs.